So i have been thinking about adding videos to my blog for a while now, and was surprised when even my husband asked why i wasn't doing video's especially on Haul posts - i have taken the plunge and here is the first Video post on The Glitter Fashionista. 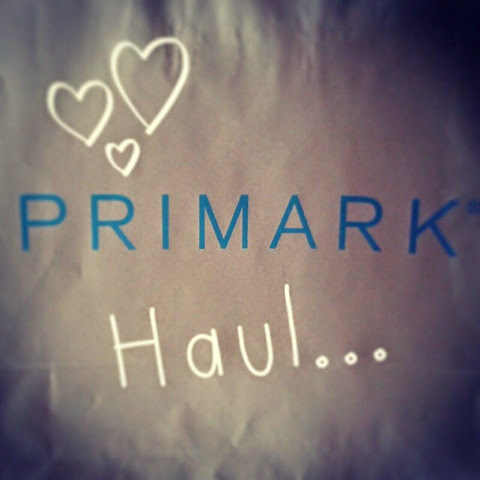 I decided to do a Haul video as these are the videos i love to watch and as i have just been on a little trip to Primark, seemed like a good place to start. Hope you enjoy and please leave feedback, either here or on My YouTube channel, (while you're there fancy giving it a thumbs up?) And remember to subscribe if you haven't already! Let me know if there are any other videos you'd like to see and I'll see what I can do!